These modulating HVAC ball valves are available in nickel plated or lead free brass with NPT end connections in full port sizes 1/2″ to 1 ¼” and standard port 1 ½ & 2″. 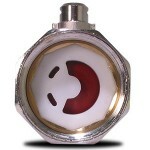 Size up your SM Series Modulating Ball Valve for HVAC Applications NOW! This entry was posted in Latest News and tagged Actuated Ball Valves, brass ball valve for HVAC, HVAC valve, Modulating ball valve for HVAC, valve for HVAC. Bookmark the permalink.